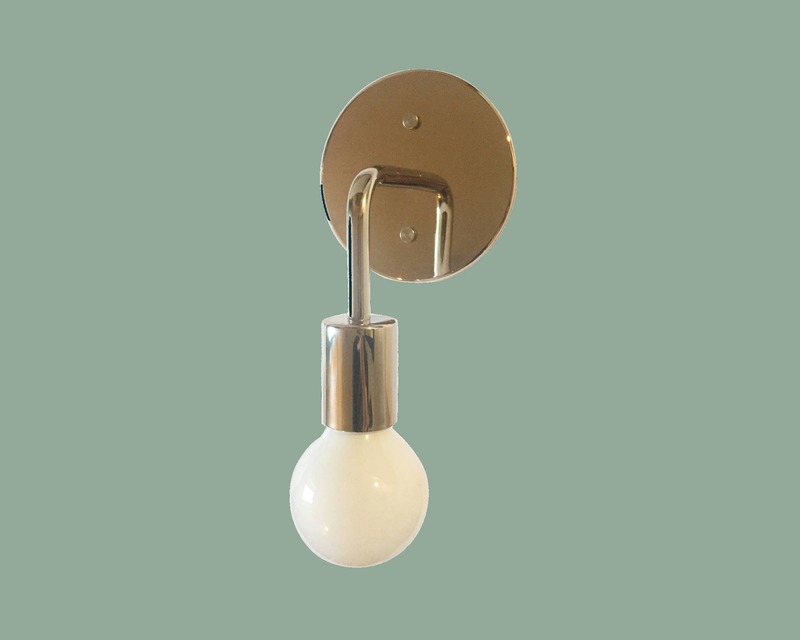 Elegant, understated, and playful, I am obsessed with this wall sconce! 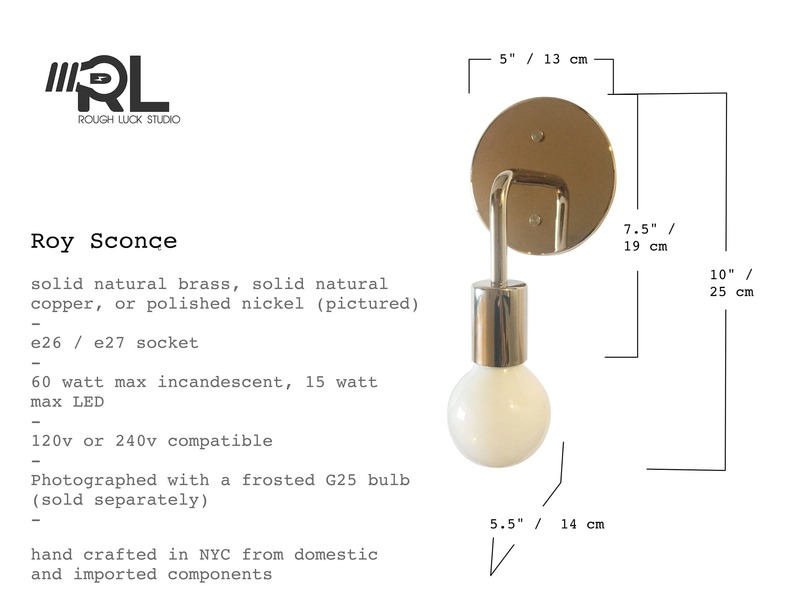 One of my original designs, the Roy sconce has become one of my most popular. It is professionally finished in durable Polished Nickel, which is perfect for use in bathrooms, bedrooms, entryways, or kitchens. • INSTALLATION: Professional hard-wire installation. Universal crossbar and mounting hardware included. Item just as advertised! Great local studio...recommended!